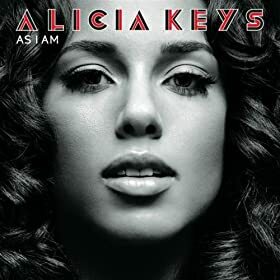 Alicia Keys has been a growing admiration of mine over the years since I first heard her smash hit single “Fallin'”. Yes, she’s come a might long way from those cornrows and that conservative urban look, I think anyway. And it’s a massive understatement if you think I’m just talking about her image. I must be honest, I haven’t listened to all of her earlier work, but I’ve heard enough to know she’s not the same artist as she was back 10 years ago. But that’s probably how long I’ve been a fan. Only recently have I started publically declaring my love for her. 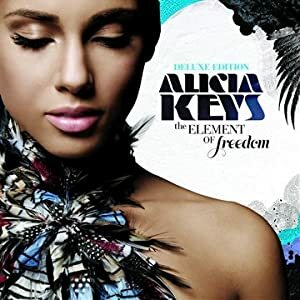 But this post has been a long time coming… well… since I heard this album The Element of Freedom. After the first time I heard the album, I was like “This is what music is all about!” I was going to pick a song, but I’ve listened to the entire album front to back, over and over again and can’t pick just one. This is usually a sign that, hey, I need to talk about all of it. I have similar feelings for the album before it, As I Am. “Love Is My Disease.” As my sister and I agree, she really must’ve gone through something to feel this kind of way. But not only is it just her, but I’m sure many of us have felt the same way she has: when you are so in love with someone that you can’t bare to be more than a few feet away from them. For me, this song is more than lyrics. I love the instruments, the drums, guitars, organs, whatever else is playing. I love that she gives a few seconds after a few songs for just more of that instrumental flavor. Like a delicious aftertaste of the sweet and tender plate of the song’s entree. “Wait Til You See My Smile” is a better example of what I mean by that aftertaste. Not only is this a very uplifting song (and personally meaningful to me in recent times when I wasn’t feeling so great), but I also love all the instruments being played around here. The strong drums. She loves drums I can tell. But this song has a strong build, and you can feel it growing, and it makes you wanna do something huge… which is awesome, to say the least. “That’s How Strong My Love Is” tones it down, instrumentally. It’s still a very strong song though, but it’s soft with no drums. Lyrically? Brilliance as usual. Listen to it enough times, it might want to snag a tear from your eye. Again, I think that lends itself more to the instruments again. Still a beautiful song with a beautiful voice and piano. “Distance and Time” is also a favorite of mine. Although it’s sad, I can definitely relate. Not only can I relate, but my best friend feels like this constantly. As endearing as the song is, I’d keep it on repeat because it’s just great music. “How It Feels to Fly” is another uplifting song. Every so often during my day, I found myself humming the chorus not really remembering where I heard it from. Another sign of greatness is when songs just get stuck in your head. But this song coupled with “Wait Til You See My Smile” are part of a self-motivation soundtrack I’m building. This is one of those songs that also lends itself to the album title of Element of Freedom, not just due to the theme of flying, but again, the instruments feels freeing. “Through It All” could fit in the same motivational category, but it’s more of a song talking about supporting someone else. It’s still great in my book. And once again, the drums are keeping a driving beat. “This Bed” I think is probably the most upbeat/up-tempo tracks on the album. It’s not so much the drums this time, but just the way the beat is arranged. But the song itself has a classic feel to it. I can’t figure out what decade it belongs in, but it’s not this one, and that’s what makes this song so good. I’m not leaving out the lead singles I’ve heard thus far, “Doesn’t Mean Anything”, “Try Sleeping With A Broken Heart” and “Empire State of Mind (Part II).” I have nothing against “Empire…”, I just like Jay-Z’s version a bit better. “Doesn’t Mean Anything” is a song I would leave on repeat, but due to the track listing, I usually let it play right into “Try Sleeping With A Broken Heart.” Without a doubt, I love these two songs. This song is one of the best due to, again, and I can’t state it enough, the instruments. I don’t even know what all these instruments are, from the deep bass rumblings in the beginning, to what sounds like a machine gun in slow motion, to the sounds of possibly an old fashioned synthesizer keyboard from back in the day. Oh yeah, and Alicia’s stellar voice. I’m still a bit mad I missed her show a couple weeks ago. Oh well, I’ll watch all live events as I sit patiently waiting for her next album. I think Alicia Keys is a brilliant artist. What I like about her is that I think she takes risks and sometimes pushes herself out of her comfort zone. Back in the day, she only performed at a piano or keyboard. Later, she started singing without her instrument and working the stage, maybe a little dancing. Not that I mind if a musician sticks with her instrument, but I definitely respect when artists try new things. She’s a great performer — one of the best.